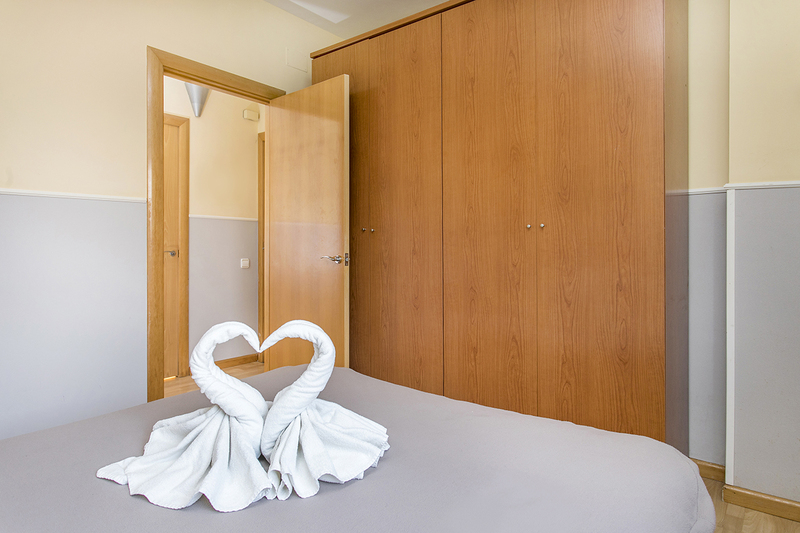 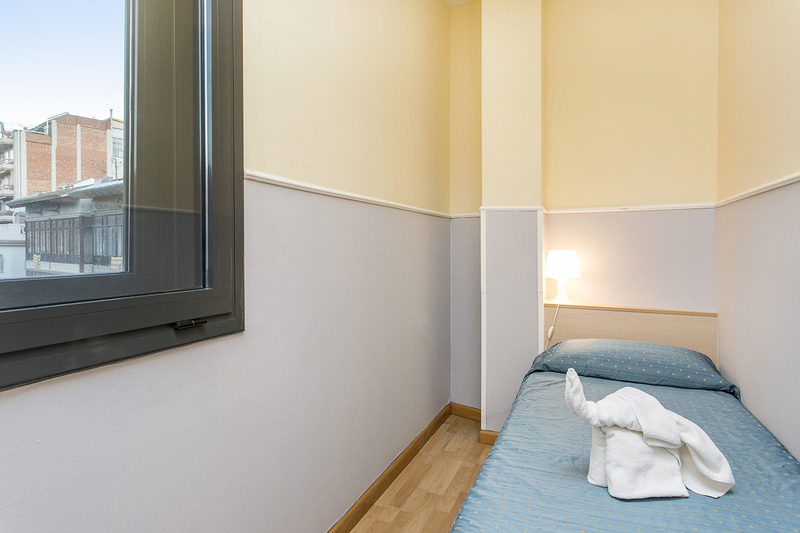 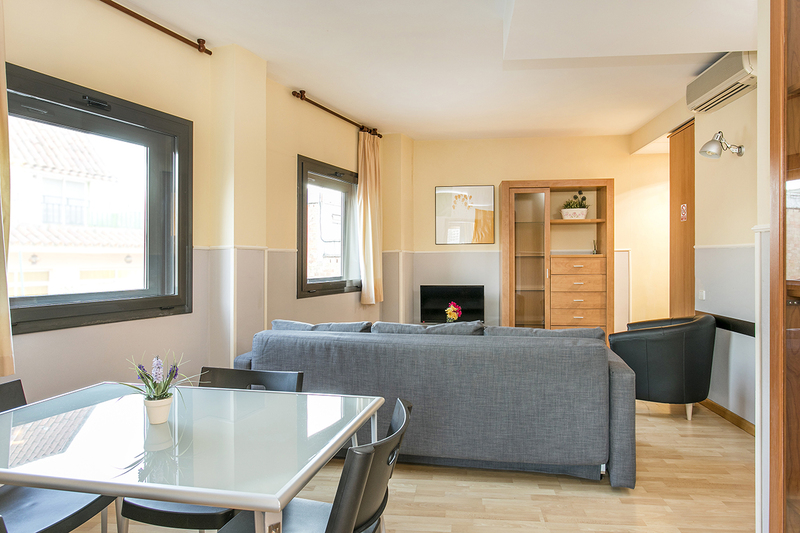 This rental apartment in Barcelona is a perfect accommodation option for a group of 3 people. 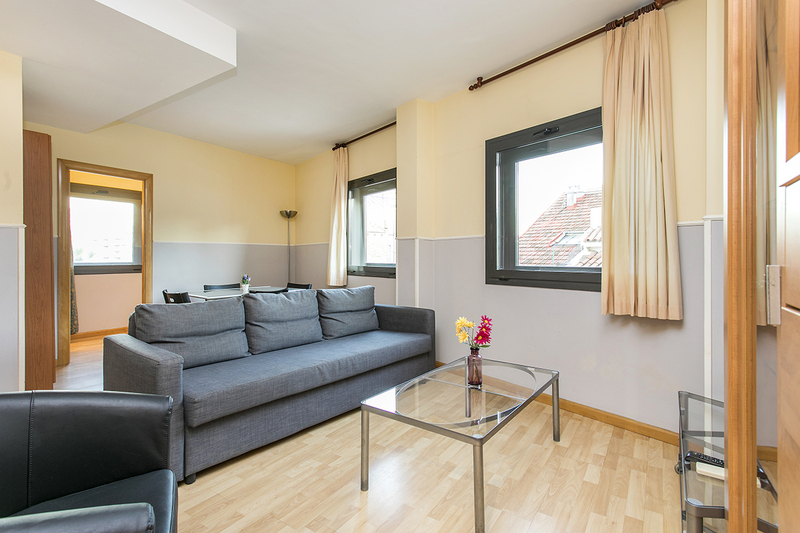 Its 50 square meters are very well distributed between a double bedroom, a single bedroom, a bathroom and a large living room connecting with a fully equipped kitchen. 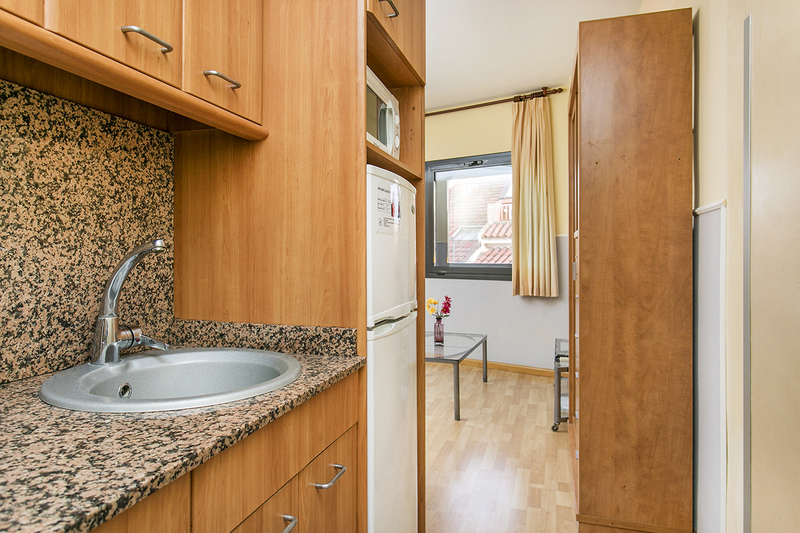 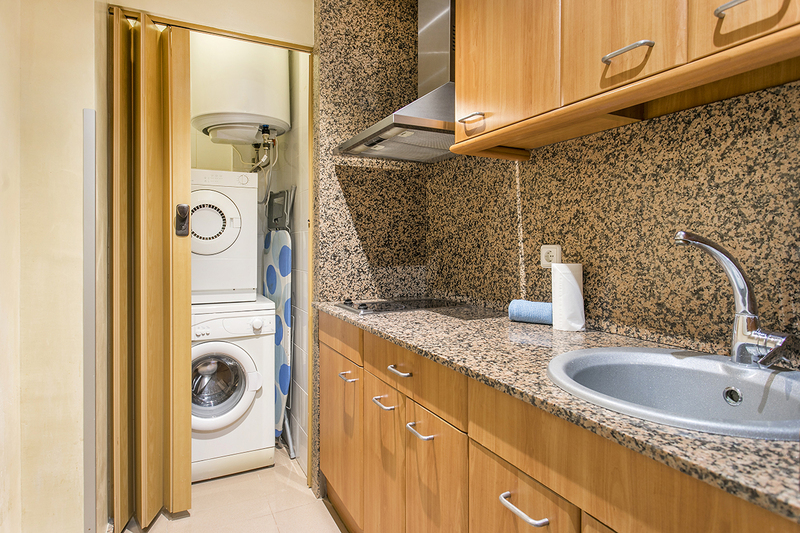 This is a cheap rental apartment in Barcelona, where we also offer a small laundry room with a washing machine and a dryer. 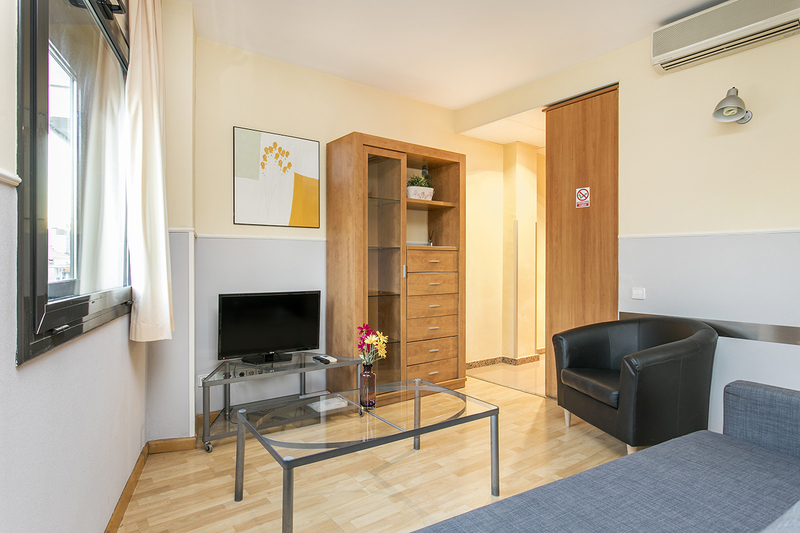 So there is anything you may need for a monthly rental accommodation. 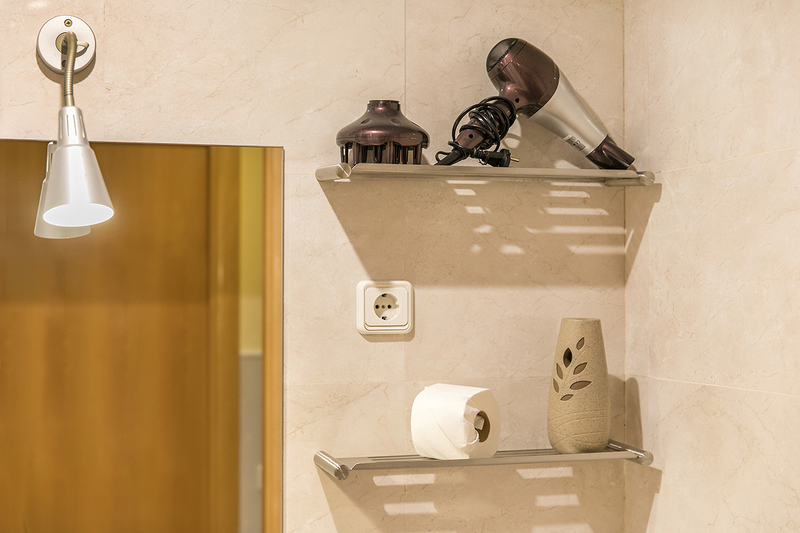 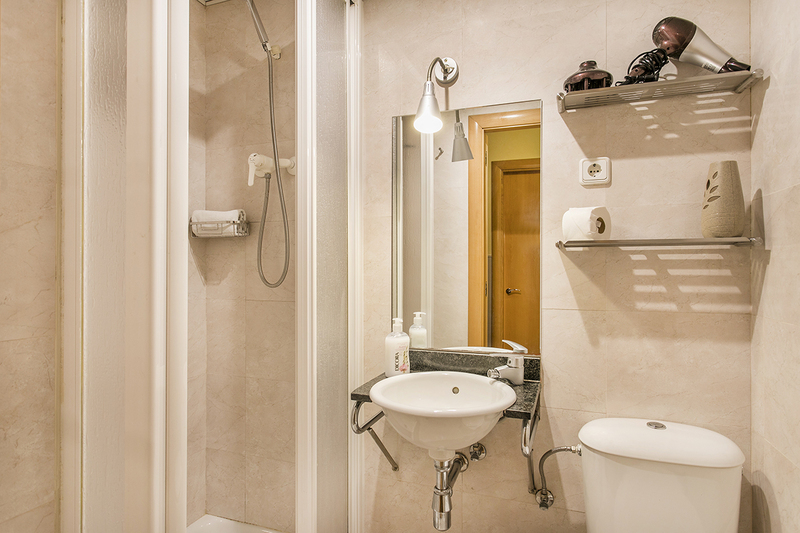 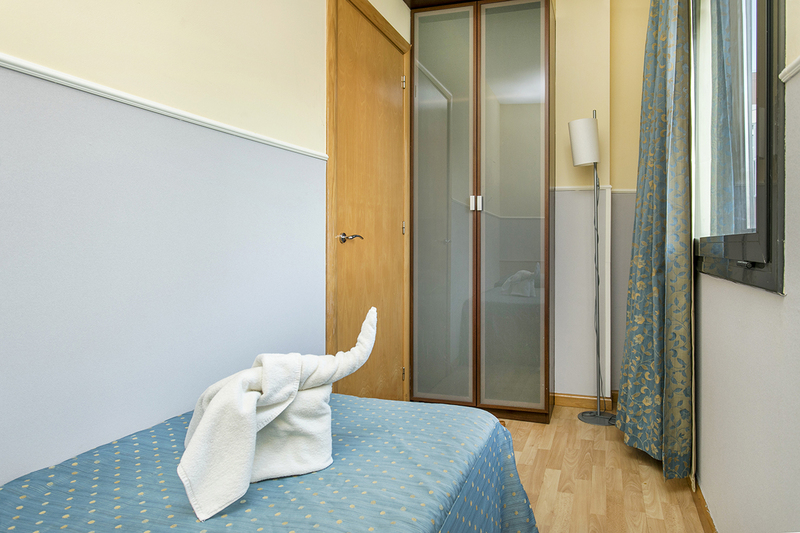 Towels and linen are also included as well as free internet WIFI connection. 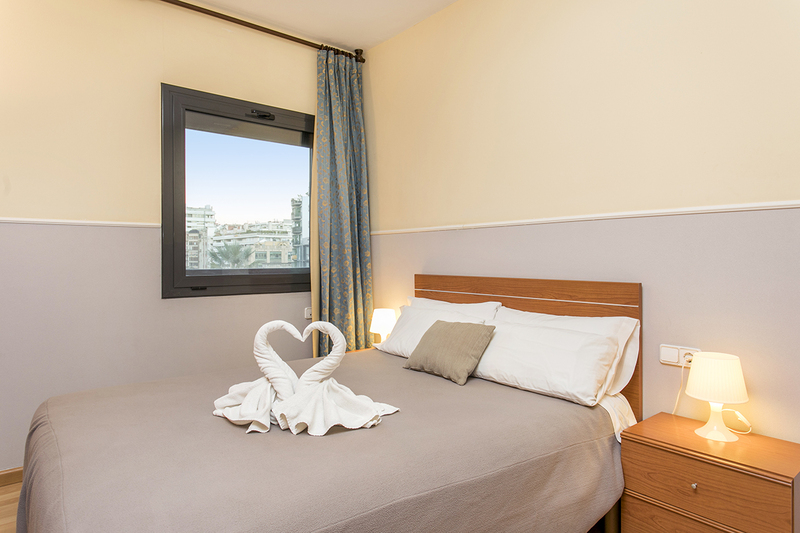 There is also a guest services office on site to help all our guests with enquiries and requests during your vacation in Barcelona.